John Allen Paulos Research Papers delve into the life of a man who was not only a mathematician but also a journalist and a social commentator. 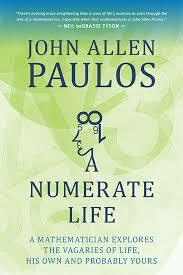 John Allen Paulos is both a working mathematician, a journalist, and a social commentator. He received his Ph.D in mathematics from the University of Wisconsin and now holds a chair as Professor of Mathematics at Temple University. He has written scholarly articles on mathematical logic, probability, and the philosophy of science, and numerous articles in the popular press on mathematical topics and issues. This is not an easy feat because a great deal of what mathematicians do is not easily translatable into common language. At least part of his motivation in undertaking such difficult work is derived from his concern that innumeracy constitutes something of a social problem. It may be said that the degree to which Paulos shows a concern with the “social relevance” of mathematics and mathematical education brands him as being somewhat extraordinary among working mathematicians. Part of Paulos’ public persona involves a vibrant sense of humor. Rudy Rucker, in a review of Paulos’, A Mathematician Reads the Newspapers, has criticized him for making “truly corny jokes”. There may be, however, a measure of art in Paulos’ joking because humor dispels fear and lay persons tend to be fearful of the complexities of mathematics. It is to be noted that Davis’ and Hersh’s popular treatment of mathematics, The Mathematical Experience also contains good humor. Poulos lost money in the stock market—on WorldCom--and told David Futrelle of Money, “I don’t think of myself as a victim, just momentarily stupid”. In the same interview he stated that “The market is the world’s largest playground for numbers”. His self-deprecating remark illustrates his sense of humor. His remark concerning the market is illustrative of his eclecticism. Paulos seems to love numbers and he is willing to look at them wherever they manifest themselves, not just where they manifest themselves in the rigorous and highly formalized world of the professional mathematician. Math History research papers discuss the beginnings of math that started with the Pythagorean theorem. History of Mathematics research papers discuss the history of math since the beginning of human civilization. Euclid’s Elements research papers analyze the collection of thirteen books on mathematics and geometry written by the ancient Greek mathematician Euclid, dated around 300 BCE. Paper Masters writes custom research papers on John Allen Paulos and delve into the life of a man who was not only a mathematician but also a journalist and a social commentator.